Stabila 196-2 Digital Level 80cm / 32 in. 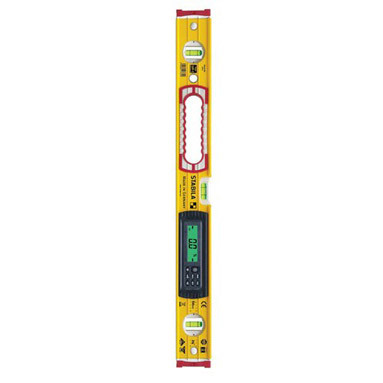 Heavy-duty Stabila digital level with electronic inclinometer. Features 2 illuminated digital displays that can be read from every working position. Audio mode emits an audible signal when level and therefore, removes the need to be able to view the display at all times. Ideal for roofers, carpenters, joiners, kitchen & bathroom fitters and many more trades.